The Yamaha FG830 has gained a reputation for being one of the best guitars for beginners. 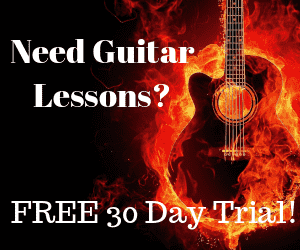 It’s reasonably priced, has a good build and is definitely something you won’t have trouble with when you’ve just started learning to play the guitar. Plus it’s made by a brand that’s been in the business for decades and is trusted all over the world. The FG830 is part of Yamaha’s best-selling FG series of guitars. Yamaha took wildly popular FG730 and improved on it, adding scalloped bracing to make the top durable while bringing out the volume. The company has also streamlined the neck and rounded out the fingerboard edges – all while keeping costs relatively low. Basically, the company made some improvements on an already-great guitar. The result of course is the FG830, an all-around acoustic that not only sounds and plays better but also offers great value for money. The Yamaha FG830 isn’t just for beginners, however. 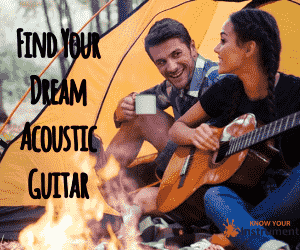 Even pro musicians would find that this unassuming acoustic has prime equipment potential, something they will be proud to have in their gutar arsenal and use for live performances and recording sessions. The folks at Yamaha’s R&D Division outdid themselves with the FG series, for which they developed a new cutting-edge technology for acoustic analysis. According to Yamaha, the engineers made use of analysis and simulation to come up with the best internal bracing design for the guitar lineup without depending on guesswork or tradition. Their science-backed experiments resulted in the development of a new bracing pattern. The unique scalloped bracing serves two purposes: maintaining the durability of the guitar’s top board and making sure the guitar’s projection is the best that it can be. The new internal bracing makes the FG830 sound not only punchier and louder but “fatter” as well with a boomy low-end voice. More on the sound later – for now, let’s take a look at the guitar’s physical specs. The Yamaha FG830 dreadnought has a 25.6-inch scale length. The body measures 19.875 inches long; with the neck and headstock it’s 40.875 inches. The width of the body is at 16.25 inches. Solid Sitka spruce is used for the top. Solid wood is already a win – it has a more balanced, warmer tone and it will improve as the wood matures. The back and sides are made from rosewood laminate, giving the guitar a more sophisticated, “expensive” look. Rosewood is also used for the 21-fret fingerboard and the bridge. The spruce top is finely grained and flecked and has a toned look. The natural gloss finish on the guitar is durable but thin enough to allow the grain to show through. The FG830 is also available in Tobacco Brown Sunburst and Autumn Burst color variants. The guitar’s tapered nato (also known as eastern mahogany) neck is coated in a nice, smooth satin finish for fast playing. The neck of the FG830 is also slimmer than its older sibling the FG730 to make it easier to make chord shapes. In addition, the rounded fret edges make the guitar easy and comfortable to play. The slim and fast neck, rounded fret edges and comfortable body shape with a tapered waist definitely make playing the guitar effortless. The FG830 is fitted with die-cast chrome tuning machines and Urea saddle and nut, which measures 1.69 inches wide. The guitar also features a cream body binding that accentuates the guitar’s shape and color, round-nosed heel shaping, a tortoiseshell pattern for the pickguard and an abalone inlay around the sound hole. The overall build quality is superb. Yamaha has always been known for making quality instruments that the masses can afford, so we’re not really surprised the craftsmanship on the FG830 is top-notch. Simply put, the Yamaha FG830 is beautiful, in a boy/girl-next-door kind of way. It’s probably not going to win any contests based on its looks alone, but that’s not really what it’s for anyway. It has a certain understated appeal visually, but there’s actually more to it than meets the eye. The new scalloped bracing on the FG830 gives it a loud, punchy sound – like any proper dreadnought should, really. But once you hear the sound that the guitar produces, you wouldn’t think it’s in the mid price range. Guitarists who have tried the FG830 say it has to cost somewhere around $700 at least – not that they’re complaining, of course. The projection surely is impressive, but what about sound quality? The solid spruce top and rosewood back and sides are a great combination that gives the guitar a wide dynamic range. The rosewood used in the guitar gives it warmth and a powerful yet balanced tone. Coupled with the solid spruce and with a bit of fine-tuning, the FG830 produces rich overtones – a sound is full, balanced and versatile, so you can play riffs and single notes with each melody being articulated clearly. Bass tones are loud and clear, and the sustain is certainly more than you’d expect from a guitar in the $300-500 price range. If it’s acoustic power and tonal clarity you’re wanting, this dreadnought is just what you’re looking for. Why buy the Yamaha FG830? The Yamaha FG830 is a perfect example that shows quality guitars need not be pricey. Even if $500 is your limit for a starter guitar, it’s money well spent with this model. The construction, especially the scalloped bracing, will make sure the FG830 serves you well for many years. The classic dreadnought look is timeless. The shape of the body and the smoothness of the neck allow for great playability, which is a must for beginners. Affordability and physical qualities aside, the sound quality also makes the Yamaha FG830 an acoustic guitar worthy of the honor of being your first. The FG830 offers plenty of projection with a clean, balanced tonality. You will have no problem articulating notes, and you can expect a louder and stronger sound particularly in the low- to mid-ranges. Intermediate and advanced musicians would also benefit from having a guitar such as the FG830 in their collection – for jamming, recording sessions, live performances, teaching their kids and whatnot. It’s a great all-around acoustic that suits any player. This Yamaha is a great alternative to more expensive acoustic guitars and you definitely won’t regret buying it.